With the arable sector facing more challenges than ever, a recent Bayer event heard how innovation would drive the industry forward. Weed resistance, climate change and water pollution, not to mention a growing population, were just some of the challenges raised at Bayer’s Future of Farming Dialog in Germany, which attracted industry leaders from around the world. 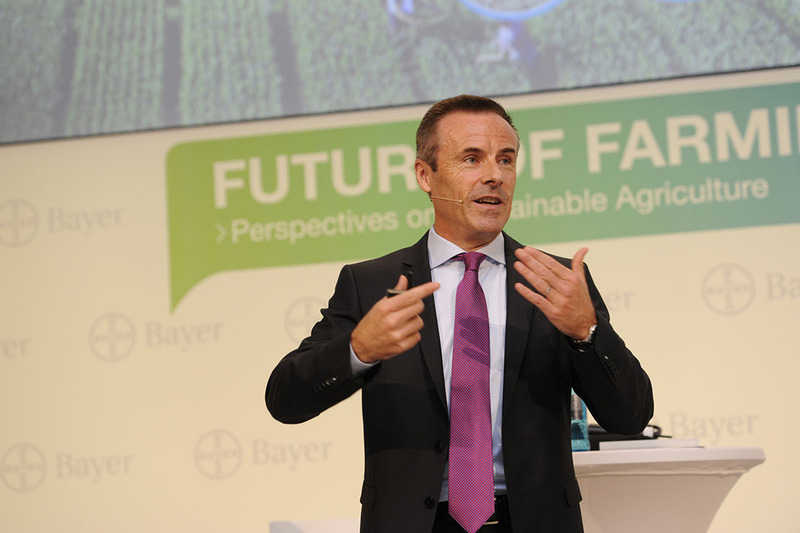 Research and development is the ‘driver of growth’, according to Bayer chief executive Liam Condon, and this was reflected in the firm’s commitment to investing 10 per cent of sales revenue back into R&D each year. As a result, Bayer has developed some interesting technologies, particularly in the crop protection sector. With this is mind, infrared satellite images have been developed with the ability to recognise plants suffering from stress – even before the human eye can detect symptoms. “The satellite transmits the image to the tractor which has an algorithm to translate the image into a treatment recommendation. “Using GPS, a tractor can then drive out without a driver, to the part of the field where there is an outbreak which is not visible to the farmer’s eye and it is able to stop the outbreak,” said Mr Condon. While this technology exists, it requires further development before it can become available to growers. Looking forward, Bayer hopes to offer an agronomic package to growers, as opposed to a chemical or a product, and the firm’s ultimate ambition is to be able to sell growers ‘a weed free or a disease free field’, according to Mr Condon. However, he acknowledged an integrated approach is crucial was needed to achieve this. As part of the event, attendees were given the opportunity to visit the company’s forward farm, a commercial unit used to test and develop its latest research on a large scale. The scouting tool, one of latest digital technologies which is soon to become available to UK growers, was demonstrated by Tobias Menne, head of digital farming at the company. The software, which will be available as a smartphone app, allows the grower to take a picture of a weed and send the image for processing by a super computer, which then provides the grower with details about the weed species. Mr Menne said: “In regions used to total herbicides, we are getting worse at identifying weeds as we have got used to picking up a bottle which will control everything. 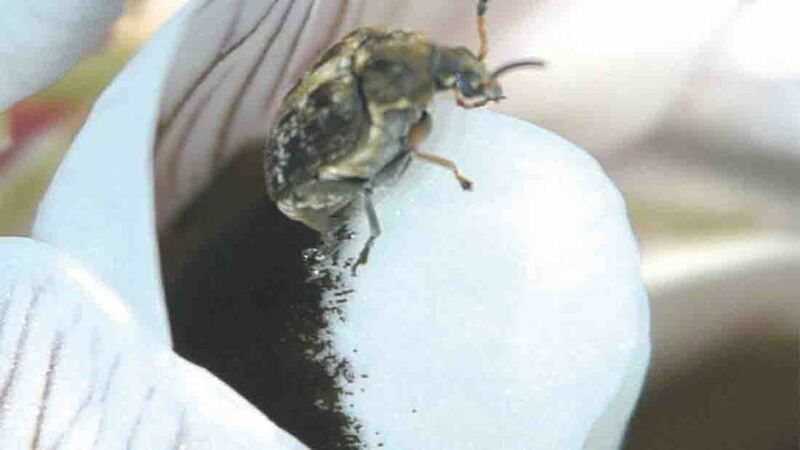 The technology is being developed to enable growers to classify diseases and insects as well. “Training a computer to identify insects has been a challenge," said Mr Menne. "First of all, they are flying and moving. Insects change colour when they are eating and they each go through various larvae stages, so we use images of the damage they have done to the plant to help us recognise the insect." Looking forward, Mr Menne can see this technology being developed so weeds, diseases and potentially pests can be recognised in real time as a tractor drives through the crop, although he admitted there was still a lot of work to be done.